Cutting of coppiced trees, usually certain species of broadleaf, on a rotational basis results in a wide variety of useful products and a diverse habitat for our wildlife. The coppiced 'stools' begin growing again in the spring and regenerate vigorously, beginning the cycle again. Managed coppice has been part of our heritage for hundreds of years and the products that come from it are abundant. Important Note: Coppicing is seasonal, the wood I cut from hazel and sweet chestnut coppice (copse) is all coppiced during the winter months as this is when the sap is down and the quality of the wood is best, especially if it is to be used for outdoor projects, it also fits around wildlife cycles and maximises the regeneration of the copse during the summer growing season. This also means that I can only hold a certain level of stock as I generally sell most of it during the late winter/early spring months. If you are after quantities of hazel binders for woven fencing, for example, or chestnut poles or chestnut stakes the best time to contact me is from September through until February to place your order otherwise I may not be able to help you until the next cutting season. Though it is always worth checking with me to see what I have available. 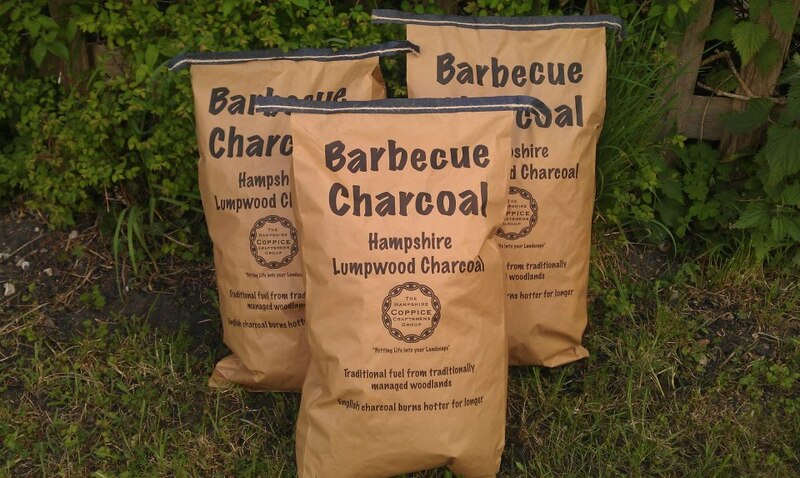 So if you have spring or summer projects you wish to plan for, get your order in during winter to be sure I can supply! Coppiceworking, hedgelaying, projects in sustainably sourced, local wood. 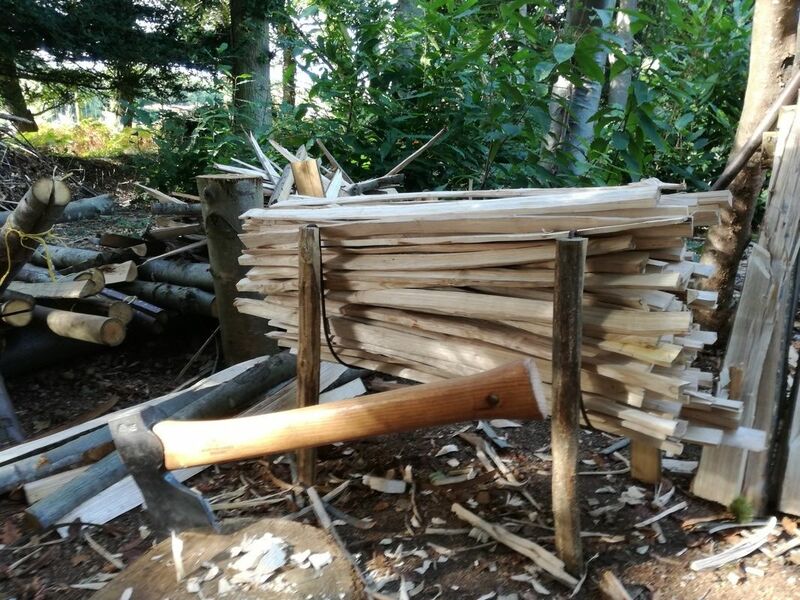 Whether you're after garden products, woven fencing, sweet chestnut post and rail, timber for your own projects or just advice on how you might use locally cut, coppiced produce, Hampshire Chestnut is here to assist you. From tent pegs to hedgelaying, bbq charcoal or even large outdoor pergolas and gates and gatearches, with the right wood and the correct tools anything is possible. The intention here is to use coppiced timber (mainly hazel and sweet chestnut) locally and in a sustainable way with a low impact approach, using many of the traditional techniques and tools, resulting in unique, bespoke products which you can be confident are helping local woodlands and the environment.